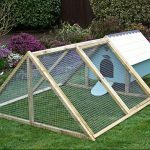 If you are planning to raise chickens, you will have to think about various chicken housing types and how to provide shelter for your new chickens. When keeping chickens in the backyard, you will definitely need some sort of backyard chicken coop (whether you choose to build your own or purchase one), but there are actually several different types of backyard chicken coops, with varying sizes and functions. Out of these three chicken housing types, the small coops and the chicken tractors are mobile, which will make moving them easier. Nonetheless, any of the three of them can be the perfect chicken housing for the backyard. 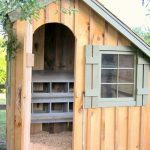 These three main backyard chicken coop ideas often have a run attached as well. 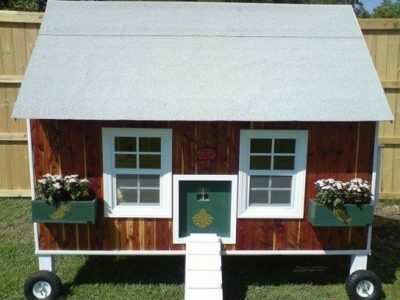 This can also be opened up into an un-fenced or fenced yard for free ranging your chickens. Or, they can offer an adequate confined space where chickens can spend time safely from predators. As far as the design is concerned, traditional farmhouse color schemes and architecture is featured by most backyard chicken coops and generally made out of wood. 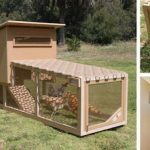 However, some modern backyard chicken coops are also available in plastic with igloo and other shapes, which can make them more functional and easier to clean than the typical backyard chicken coop. Stationary coops are the most common type of chicken housing. These particular chicken coops are directly built or assembled right in the backyard. They turn out to be too heavy and large after being constructed so that they generally cannot be moved. 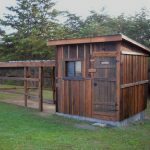 A shed or small barn have also both been known to be used as a stationary type of backyard chicken coop. Stationary backyard chicken coops come in smaller, medium and larger sizes capable of housing anywhere from a few hens to dozens or more chickens. These coops can be kept dry from weather and safe from predators by using posts that elevate the coops off the ground. When it comes to cleaning and collecting eggs from stationary coops, their entrance is usually easily accessible because of being able to accommodate a large door through which a person can walk or easily reach into. 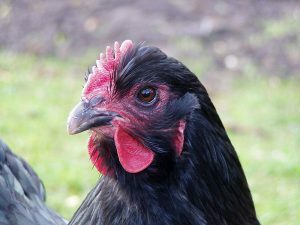 To prevent backyard chickens from escaping into a neighboring yard or to keep them confined, a fenced chicken run can easily be attached to stationary backyard coops. 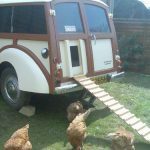 If you plan to start with only a couple of chickens, then a portable small backyard coop will be an ideal chicken housing option. 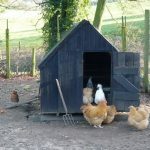 A fence run can be attached to these small coops, or they can be opened into the yard. Since usually wood tends to make coops heavier, the small coops can be made of plastic, which makes them more portable. Small backyard coops have an outdoor space enclosed by wires and a roosting room enclosed within them. These small coops are typically designed to be simple and they can be conveniently repositioned because of being so lightweight. 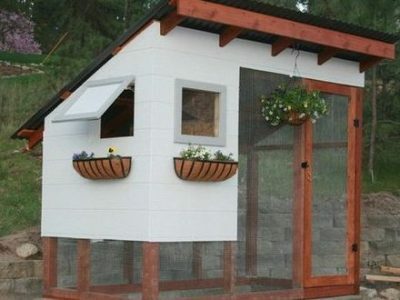 The small plastic backyard chicken coops are often designed to have an igloo shape and they have sliding doors, which protect the chickens from predators, especially at night-time. The chicken tractor is another very popular type of the backyard chicken coop ideas. A small henhouse is enclosed within these coops and they have a larger area for the chickens to forage outside, which is fenced off. Chicken tractors are basically small backyard chicken coops on wheels, so they can be easily moved from one area of the backyard to the other. It usually takes merely a couple of weeks for a patch of grass to be turned into a patch of dirt by a group of chickens. This is why chicken tractors prove to be useful because fresh grass can be easily provided to the chickens by moving the tractor to another spot and also prevents the lawn from getting damaged. 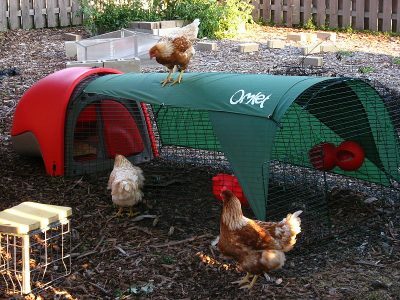 Portable runs can also be designed using the chicken tractor idea – essentially a run on wheels. These are usually used in conjunction with the larger stationary backyard chicken coops. 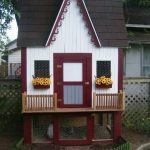 There are actually many other designs and types of backyard chicken coops as well. 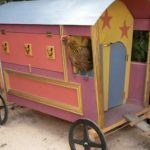 Some of the various chicken housing types can get very creative, artistic and whimsical, especially when building your own chicken coop. 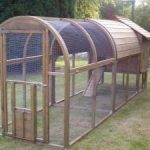 This article is just a general overview of the more common and basic backyard chicken coop ideas. 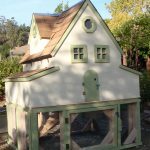 If you are planning to raise chickens in your backyard, then knowing what kinds of chicken coops are out there will help you choose to purchase or build the right chicken housing type for your own backyard chickens.